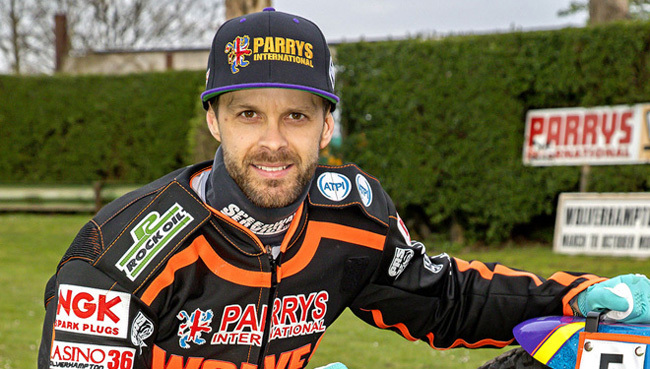 WOLVERHAMPTON star Rory Schlein revealed the 'buzz was back' following their 49-41 victory at Leicester. 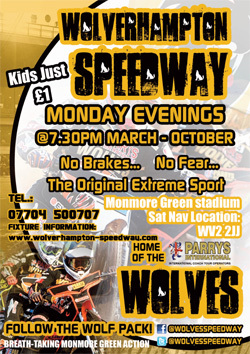 After a defeat on the road at Swindon on Thursday, the Parrys International Wolves completed their regular away fixtures with a win at Midland rivals Leicester. 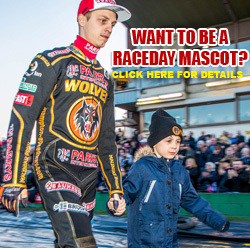 The hosts were reduced to five men early on with Lasse Bjerre aggravating a knee injury and pulling out of the meeting - adding to Leicester's headache as they were already running rider replacement for Pawel Przedpelski. It didn't stop them from putting up a fight though and the scores were level with nine races gone. 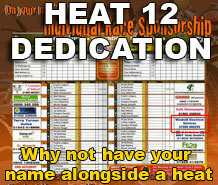 But the Wolves secured four heat advantages in the final six races as they added another four league points to their Premiership tally. And after having to dig deep at times, Schlein put the victory down to a great belief within the side. "Even with Leicester down to five riders, Kim (Nilsson), Danny (King) and Kyle (Newman) are all fast racers on their day so we knew we still had a big job to do," Schlein said. "We were always quietly confident we could come good towards the end and that's what we did to get the win. "Me and Kyle (Howarth) missed the meeting at Swindon on Thursday and the boys were telling us how something just didn't feel right having us boys missing. "But we were at full strength tonight, the banter was great, we are all happy go lucky and the buzz was back. "There really is a great vibe when we're all together and we'll be a threat for anyone in those play-offs when they come along." Schlein top-scored on his return to the Wolves line-up, bagging two race wins and recording an important second place to split the Leicester duo in Heat 15 which ultimately gained the Monmore men the extra league point available. Freddie Lindgren reeled off three straight wins and was backed up by Kyle Howarth on another influential night from the Wolves No.1 and 2. Mark Riss enjoyed another impressive performance from reserve while Jacob Thorssell grew into the meeting, finishing off with back-to-back race wins after suffering a disqualification in his opening ride. After blowing an engine at Swindon on Thursday, Sam Masters endured a steady night on fresh equipment while Nathan Greaves looked to still be feeling the effects of a crash the previous evening. 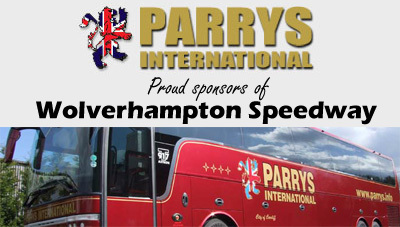 The Parrys International Wolves are aiming to warm-up for the play-offs by leapfrogging Belle Vue into second place in the standings when they host table topping Swindon as well as King's Lynn in a double-header at Monmore Green on Monday (7.30). LEICESTER 41: Kim Nilsson 13, Danny King 13, Kyle Newman 11+2, David Howe 2+1, Jye Etheridge 2+1, Lasse Bjerre 0, Pawel Przedpelski R/R. WOLVERHAMPTON 49: Rory Schlein 11, Freddie Lindgren 10+1, Kyle Howarth 8+2, Mark Riss 8+1, Jacob Thorssell 7, Sam Masters 5+1, Nathan Greaves 0.